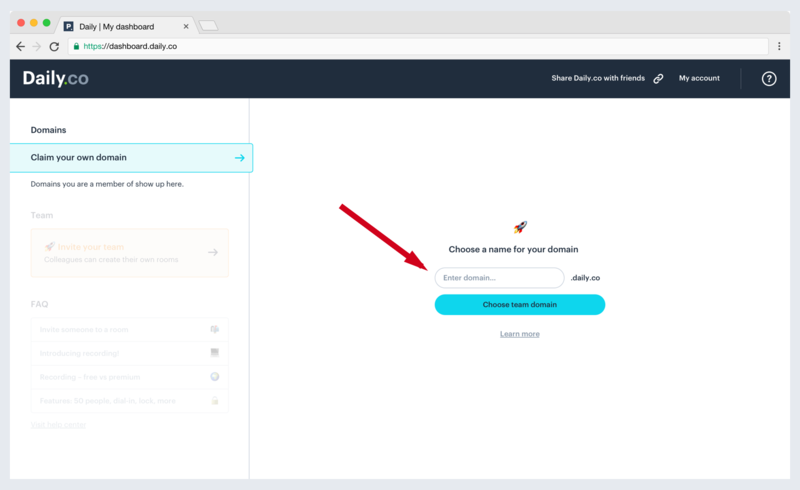 You can personalize your subdomain with quick clicks. You're taken right to your dashboard, where you can create as many specific rooms as you like. Live chat with us M–F, 9 am–5pm PST (San Francisco), or email help@daily.co. Thanks!